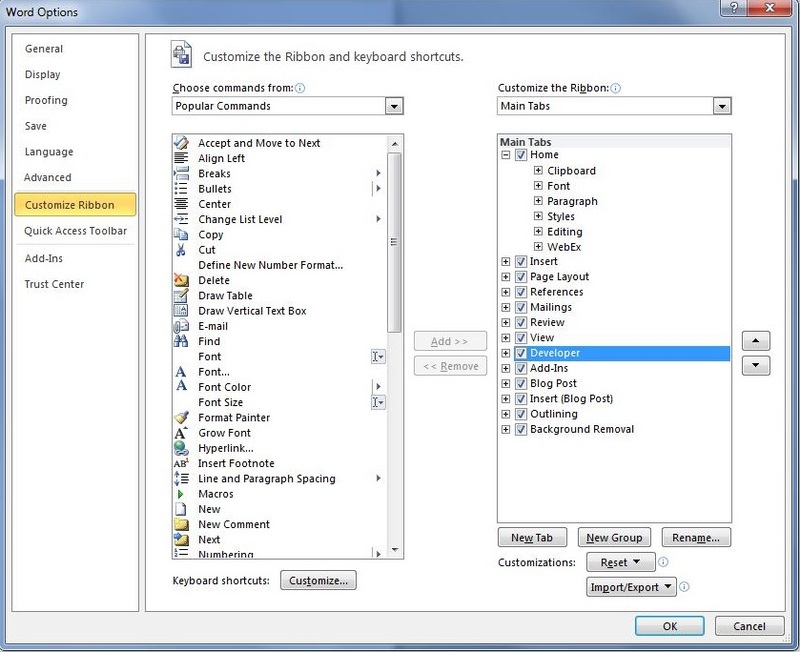 Content controls can be a great way to automate your document creation. In JungleDocs you will find that Sample Documents will already include content controls so that you can start automating your documents with ease. 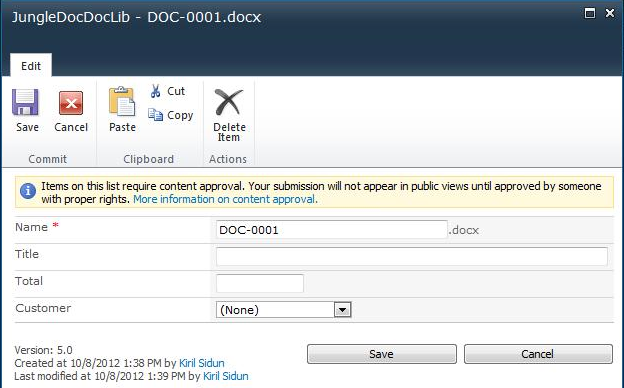 It is also possible to manually add your own content controls to a document template. 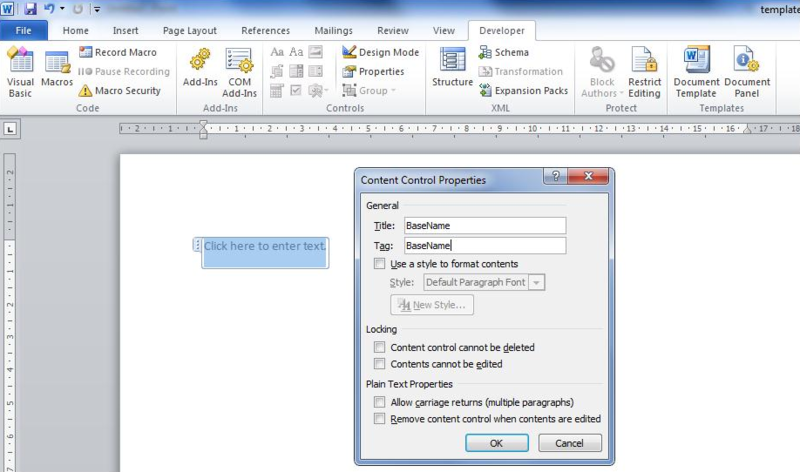 In this tutorial, you will learn how to manually add content controls to a Word template. Open your Word template (.docx format). Turn on Developer tab in Word. File > Options > Customize Ribbon > Check Developer > OK.
Insert the content control into a document template. Plain Text Content Control is limited to content that cannot contain any formatting. In other words: only plain text. It also limits the formatting to the formatting that is applied around the content control. You can change the formatting by making changes to the surrounding formatting. Rich Text Content Control can contain custom formatted text or other items, such as tables, pictures, or other content controls. Picture Content Control can fill the content control with a single picture. Note: Microsoft Office 2010 has a 64 character limit for the tag field. If your tag contains more than 64 characters, use MS Word 2013 for template configuration, as it does not have this limitation. Enter the Tag field value. The Tag field is used to specify a formula for JungleDocs (e.g., field name, lookup field name, formula or JungleDocs function). For example, enter BaseName to fill the name of this document without extension. Create a new document using this template in JungleDocs.